NASHVILLE, TN — When Perry Wallace arrived at Pearl High School in the fall of 1963, the outstanding Wharton Junior High School alum was ready to play his clarinet for the institution’s widely recognized band. Little did he or his peers and teachers know, a soon-to-be legend was quietly among them, hovering overhead in the hallways with his 6 foot tall plus frame and genuine smile. It did not take long for Pearl High basketball coach Cornelius Ridley, himself a Pearl High basketball Tiger alum, to hear Wallace had played on Wharton’s junior varsity basketball squad and would make a good player at Pearl, a legendary institution known for grooming champions in sports and academia. Ridley yanked Wallace from the band room and the rest is history. Vanderbilt University premiered a documentary celebrating the 50th anniversary of Wallace’s debut on its basketball team. That move made Wallace the first Black student in history to play varsity basketball for any Southeastern Conference basketball team. The 90-minute film chronicled the hard truths of being ‘the first Black’ and gave an honest account of that chapter in the institution’s and the South’s history. 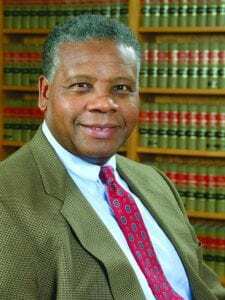 The honor was muted by acknowledgment that Perry, a 69-year-old law professor at American University in Washington, D.C., had passed last week at a hospice in Rockville, Maryland after a long battle with cancer. As word spread around the city and nation confirming Wallace’s death, school teachers and school mates, recalled him with a sense of pride, a sense of loss. “Perry was a gentleman, a scholar and much more,” said retired Pearl High School history teacher and basketball coach Melvin Black, echoing the sentiments of many who knew Wallace from his childhood days in North Nashville through his rise to a role model adult. “I wasn’t surprised how far he went in life,” said the Rev. David Jones, Wallace’s student advisor at Pearl High. “He was a mild mannered person who seemed like he knew what he wanted to do,” said Jones. Unlike students who needed help from their advisors, Wallace was never a problem, Jones said, adding Wallace was never late for class, absent without cause nor did he slip out from school as high schoolers often did. “You didn’t have to suggest he go in a certain direction or do certain things,” Jones said with a proud smile. “He was already doing it,” said Jones, offering a sentiment reflected in comments offered by some of Wallace’s teammates. 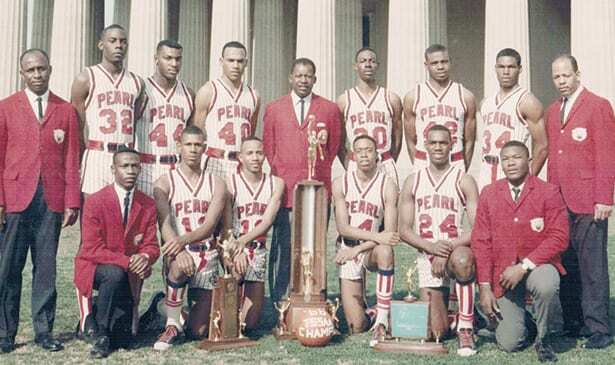 Perry Wallace, a known bookworm, graduated with the Pearl High Class of 1966 as valedictorian just a few months after, having risen to center position on the basketball team, helping his winning team end the season with a 32-0 record and capture the state’s high school championship. It was the first school year in which the historically racially separated schools had integrated their athletic interscholastic competition. Wallace never complained about his challenges or gloated about his achievements, those around him recalled. He did look down a bit one day, a fellow teammate recalled. When asked what was bothering him, Wallace told the classmate he was just puzzled over the B grade he earned in chemistry this week. It was the first time Wallace had not earned an “A, “he told the classmate. Wallace just worked to achieve and move to the next challenge. Indeed, there were many. He faced all challenges with character, respect and inner steel that could not be shaken. “Perry was one of these guys when even before he made a move and took a jump shot, he was in deep thinking,” said Joe Herbert, a fellow teammate who later went on to college and after graduation worked for the Rutherford County Schools System as teacher and administrator. Herbert was among scores of people who attended the Vanderbilt film documenting Wallace’s college life following three years at Pearl. Herbert and other Wallace teammates say their Pearl High grooming helped prepare all of them for the tough road ahead. “We endured with style and grace,” said team mate Walter Fisher, noting the team played in the last years of segregated interscholastic basketball and the first year of racially integrated ball. “I think that gave Perry a step up,” Fisher said in a telephone interview. Fisher and others recalled Wallace was a quiet thoughtful peer. He carried his Bible and textbooks on road games, they said, spending bus time reading and thinking while most others chatted and joked. Wallace, who was credited by peers with working hard to learn what came to many of them naturally as athletes, shared with others that added knowledge he had learned about athletic performance. Teammate James Douglas credits Wallace with sharing what he had learned about weight techniques and how and when to use them for best results. “Perry believed in strengthening,” said Douglas. “I would stay after school and Perry would teach us about weights and how they worked,” said Douglas, sharing thoughts with fellow players about improving them selves. “ I played ball across the country (when a student at then Memphis State College), and not met one person who matched Perry Wallace,” said Douglas. At the Vanderbilt event, the magic about Wallace’s presence was in the air for the hundreds who turned out to join University Chancellor Nicholas Zeppos in saluting Wallace, one of the youngest of a decade of trail blazers of his decade, including the Rev. Dr. Martin Luther King Jr., Nashville college students John Lewis and Diane Nash, Pauline Knight, Ernest Patton and Levi Watkins, the first Black student at Vanderbilt Medical School. “Vanderbilt, the sports world, and the entire country lost a civil right icon,” Zeppos said. David Williams, Vanderbilt vice chancellor for athletics and university affairs and athletics director, illuminated the university’s sentiments. “Perry was a beast in the game, mild mannered and intelligent in class. On the court, everything changed. In the locker room, he would laugh and tell jokes. I understand Perry saw the film before he passed. I was told he was very pleased. If it was good enough for him, it was good enough for me.” —Walter Fisher.